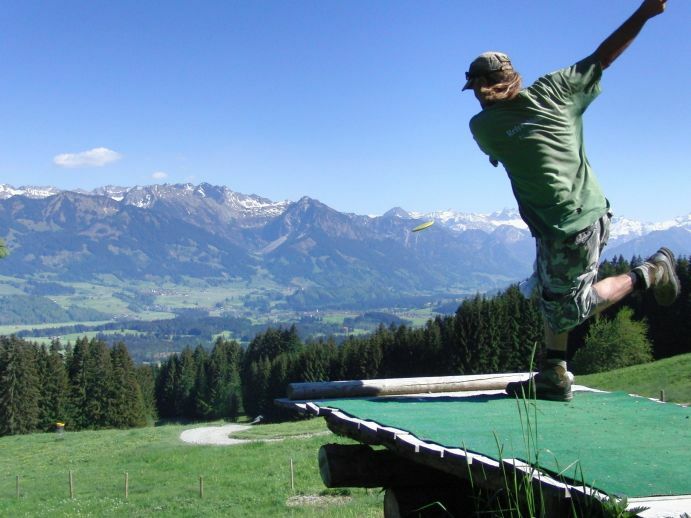 Spread out through rich pine forest and open mountain grazing fields in southern Bavaria the Summer course at 1200m above sea level is the highest disc golf course in Germany with outstanding views of the Allgaeuer Alps. 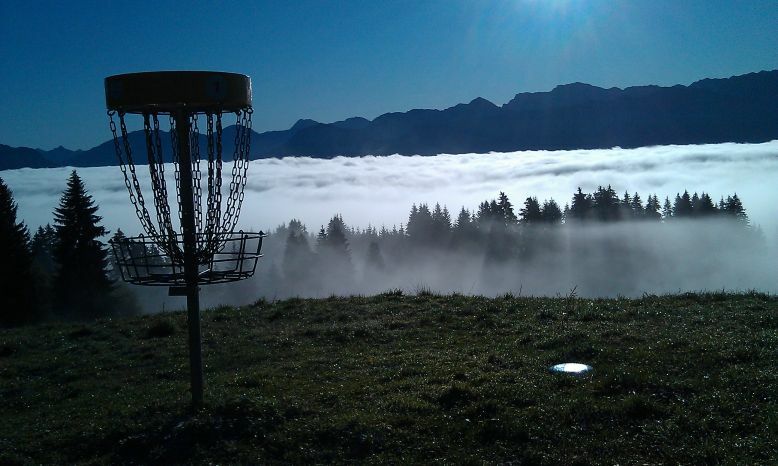 Quoting David Feldberg: "The views from Hole 1 are EPIC! 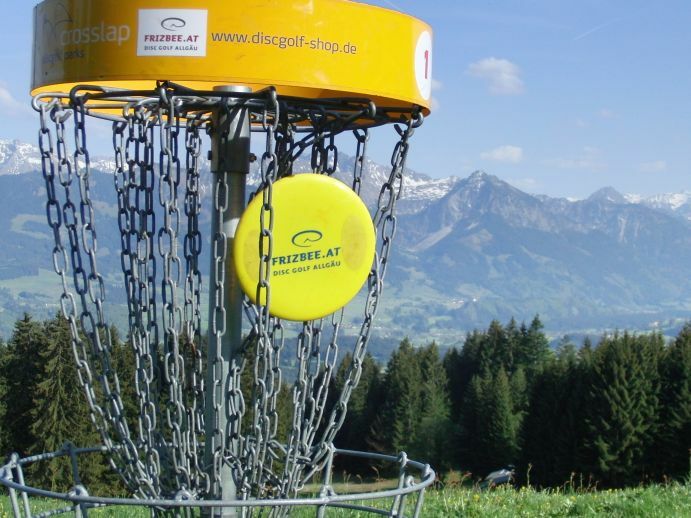 For recreational play and beginning tournaments it is very challenging and fun... and for 14 Holes, it`ll feel like you played 20". NOTE: the Summer course is only open from mid April to the end of Oct. 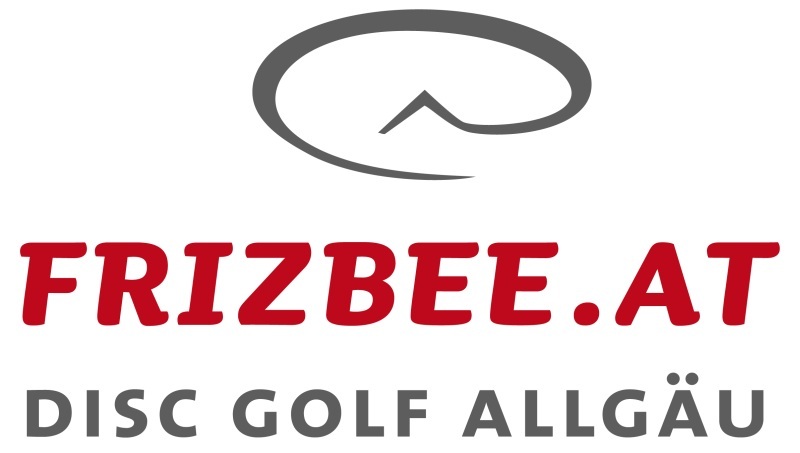 Exact hours at our website: http://en.frizbee.at/opening-hours.html - the MAIN platform for ALL info on the course. From early Nov until mid April we offer 12 short forest fairways that are not openly signposted. 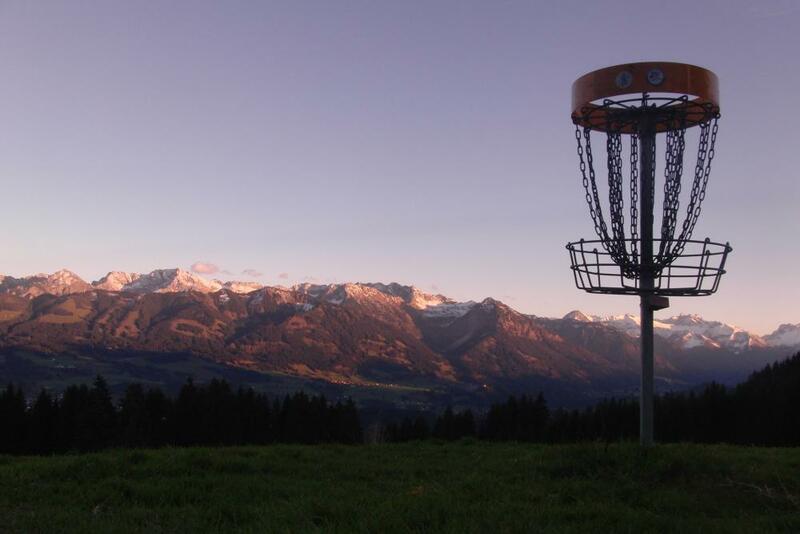 During that time it is ONLY open for players with a year ticket or for groups of 10 persons+ booking in advance. The Winter course (from Nov - April) is not publicly displayed... because the course is CLOSED. 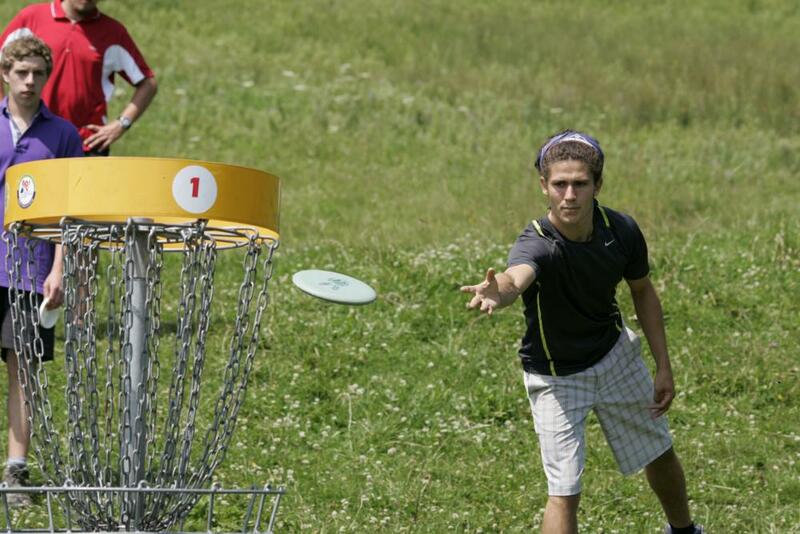 It is polite of players to respect the PDGA Players Code. Please determine in advance if it is OK to play outside of regular opening hours. Contact Paul, who is a genuine and flexible guy, to work something out with him. From Munich Airport approx. 2 hours direction South-West by train or car. By car; use the Tollroad (cost €4) from Gunzesried to the Carpark at the Allgaeuer Berghof. 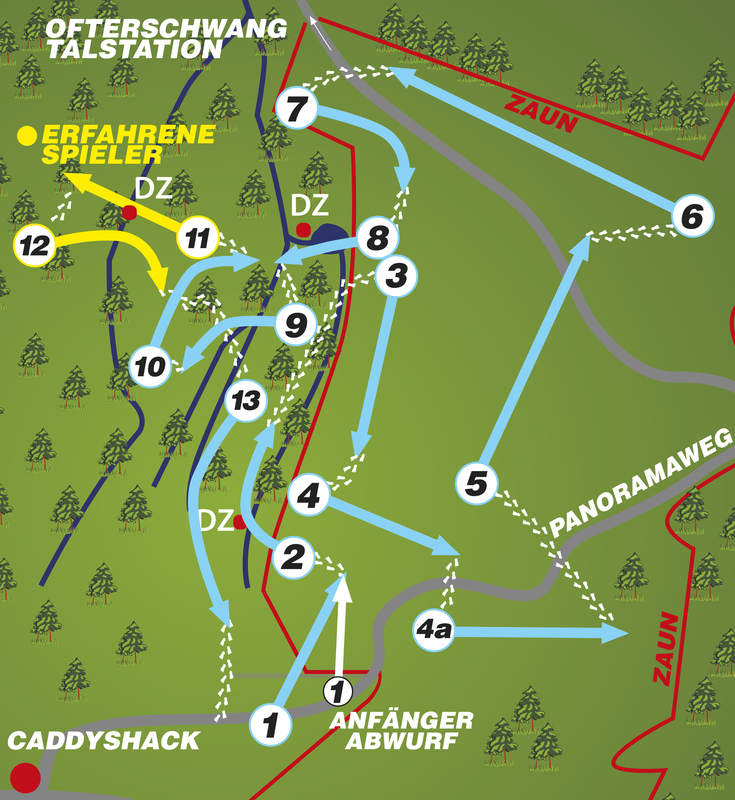 Our Meeting Point, the Caddyshack, is 100 meters from the carpark. 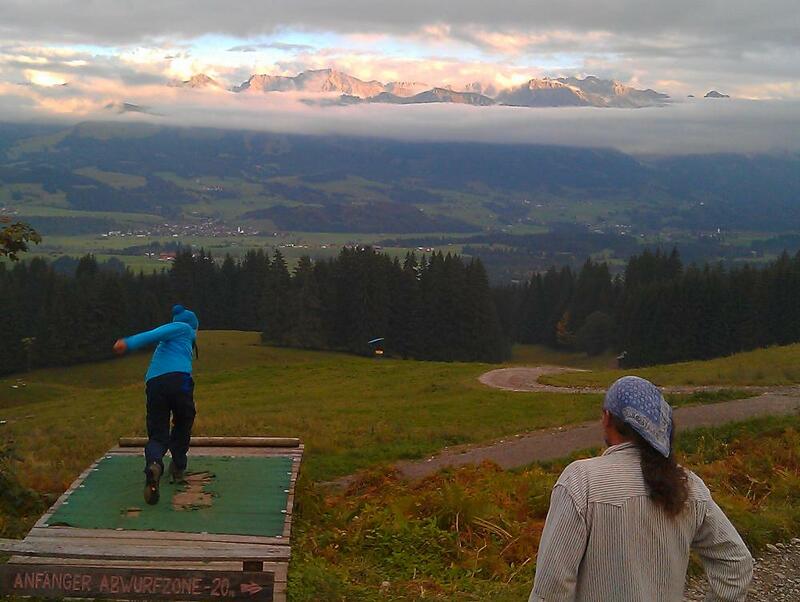 By foot from the Valley Ski-Lift Station in Ofterschwang . approx. 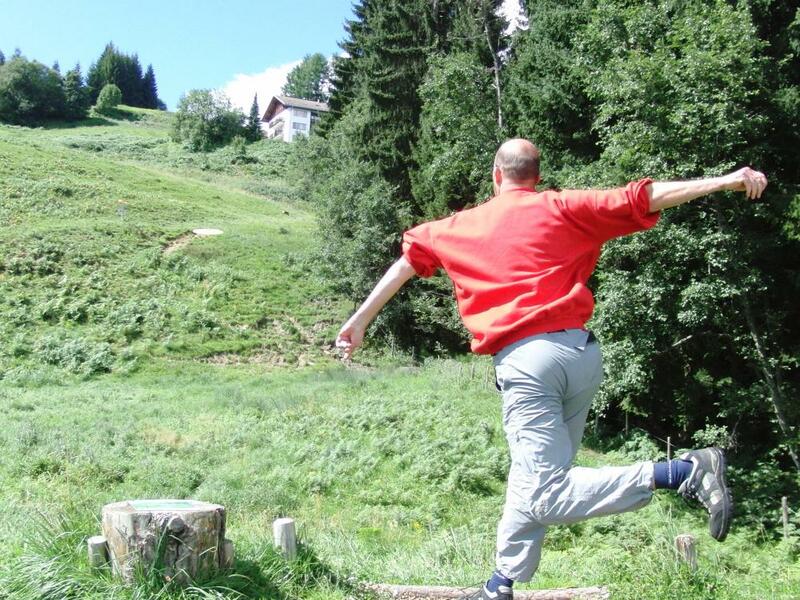 50 mins, or use the "Weltcup-Express" to the Bergstation and walk down hill (20 min). 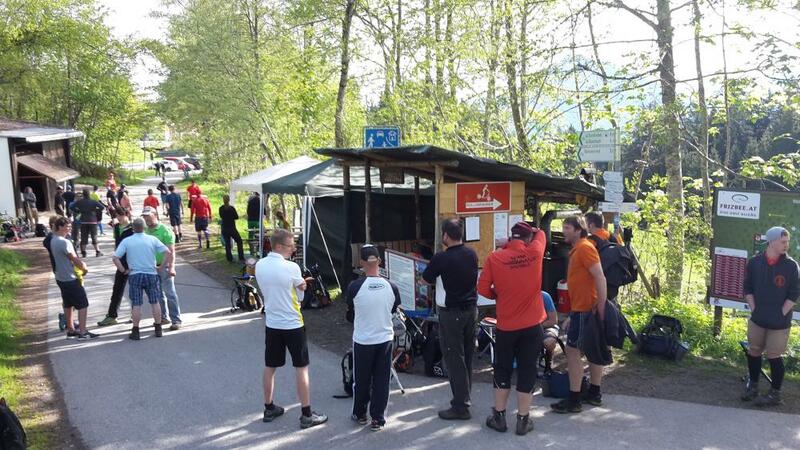 Super Parcours, körperlich anstrengend und mental herausfordernd. Offene Bahnen wechseln sich toll mit Waldbahnen ab. Und Paul lässt sich immer wieder was neues zum Kurs-Design einfallen. Hinfahren, spielen und danach ein Bier mit Paul trinken. Nur zu empfehlen! !